Oscar outlook: By this point in the awards season, a few solid frontrunners have typically emerged in Oscar's best picture race. But this time around as campaigning heats up for the 87th annual Academy Awards, there's less of a consensus as to who's got the strongest shot at Oscar's top prize. Distributors are looking right now at a wide open race where Oscar marketing dollars will make a big difference. While a number of titles have passionate supporters in the Oscar blogging trenches, that can be misleading since the media crowd doesn't vote and Academy members pride themselves on seeing things from their own perspective. Last year, Hollywood handicappers were buzzing by now about Alfonso Curaron's "Gravity" and Steve McQueen's "12 Years a Slave" as the two most likely films to win best picture. There also were Oscar watchers who felt David O. Russell's "American Hustle" could win if the two prime titles canceled each other out in the voting. All three films were high profile contenders that went on to win applause from critics groups and other awards givers as the Oscar race heated up. "Gravity" and "Hustle" each received 10 Oscar nominations while "Slave" got nine. As the season dragged on, "Slave" got hotter and hotter and wound up winning three Oscars, including best picture. "Gravity" won seven Oscars, including best directing. "Hustle" went home empty handed. In the late fall of 2012, the awards buzz was already giving Ben Affleck's "Argo," Stephen Spielberg's "Lincoln" and David O. Russell's "Silver Linings Playbook" the best odds of winning best picture. "Argo" received seven noms and won three, including best picture. It couldn't win best directing since the Academy's Directors Branch didn't nominate Affleck. Ang Lee's "The Life of Pi" got 11 nods and won four, including directing. In both of the last two years, the late fall buzz was right on the money, spotlighting the titles that turned out to be Oscar's big winners. This season there's talk about many titles, but less certainty as to who the real frontrunners are. That's actually not a bad thing for the wannabee winners because the earlier you're tagged as a frontrunner the harder it is to maintain the heat you must generate right through to Oscar night, which this time around is Sun., Feb. 22, 2015. Here's a look, in no particular order, at some of the films that are being talked about now as contenders for best picture. Paramount, Warner Bros. and Legendary Pictures' PG-13 sci-fi action mystery "Interstellar" got off to a flying start last weekend, opening to $50 million with a five day cume of $52.2 million. Since it's also been generally well received by the critics, it's right where it needs to be to be taken seriously by Academy voters. 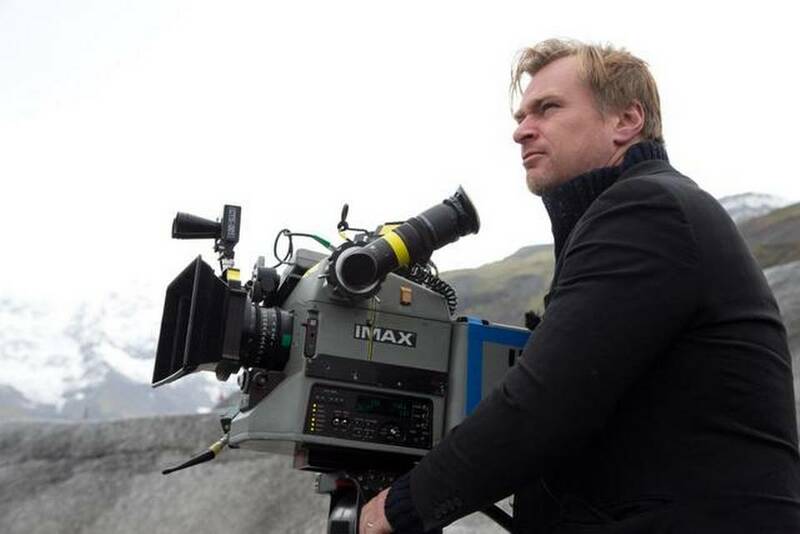 Directed by Christopher Nolan, director of "Inception" and "The Dark Knight" trilogy, "Interstellar" stars Matthew McConaughey, Anne Hathaway, Jessica Chastain, Bill Irwin, Ellen Burstyn and Michael Caine. Its original screenplay by Jonathan Nolan & Christopher Nolan focuses on a group of explorers using a newly discovered wormhole near Saturn to exceed existing limitations on human space travel by conquering the vast distances of interstellar flight. The survival of the human race hangs in the balance as Earth can no longer produce most crops to feed mankind and the only solution is finding a new world where humans can get a fresh start. It's a large scale sci-fi epic that's had critics comparing it to Stanley Kubrick's 1968 classic "2001: A Space Odyssey." Amazing as it is to realize today, back in 1968 Kubrick's masterpiece wasn't perceived as the cinema milestone it's become over the years. In fact, Academy members didn't even nominate it for best picture. "2001" received just four Oscar noms, winning only for special visual effects (Kubrick). Kubrick was a best directing nominee, but lost to Carol Reed for "Oliver." Kubrick and Arthur C. Clarke were nominated for original screenplay, but lost to Mel Brooks for "The Producers." The film's fourth Oscar nod was for art direction/set decoration, which it lost to "Oliver." Needless to say, Team "Interstellar" will hope to do much better than "2001" on Oscar night. Nolan's last sci-fi adventure "Inception," which opened July 16, 2010 to $62.8 million and did $825.5 million at worldwide theatres, was nominated for seven Academy Awards -- including best picture, original screenplay (Nolan), original score (Hans Zimmer) and art direction. It won only for cinematography (Wally Pfister), sound mixing, sound editing and visual effects. Nolan received a writing nom, but wasn't a directing nominee. That may reflect Academy watchers' feeling that Oscar voters tend to shortchange sci-fi films and comedies. That worked against Kubrick and it's already worked against Nolan, who despite being widely regarded as a visionary filmmaker has never gotten a nod from the Academy's directors branch. Last year's best picture buzz for "Gravity" brought cautionary reminders from Oscar watchers about the Academy's bias against sci-fi. In the end, the voters gave best picture to "Slave," a socially conscious historical drama about the brutalities of slavery. "Gravity's" Curaron did win best directing, but the real breakthrough for sci-fi would have been a best picture win. Nolan's critically acclaimed breakthrough film, "Memento," brought him a shared original screenplay nom from the Academy's writers branch in 2002, but no directing nod. He was, however, nominated by the Directors Guild of America for "Inception," "The Dark Knight" (2009) and "Memento" and has a good shot at being a DGA nominee again now for "Interstellar." It's a very different situation for the director of another major studio film that also could be getting best picture consideration. 20th Century Fox and Regency Enterprises' mystery "Gone Girl," is directed by David Fincher, who's much more of an Academy favorite -- a two-time best directing Oscar nominee for "The Social Network" (2011) and "The Curious Case of Benjamin Button" (2009). Starring are Ben Affleck, Rosamund Pike and Neil Patrick Harris. "Girl" was the opening night presentation Sept. 26 at the New York Film Festival (NYFF), where it received enthusiastic reviews that gave it an immediate best picture Oscar buzz. Since then it's grossed $145.4 million in domestic theatres, making it the kind of commercial and artistic success Academy voters tend to prefer when they think best picture. Affleck plays Nick Dunne, who on his fifth wedding anniversary reports his wife Amy (Pike) is missing. Under police pressure and amid a growing media frenzy, Nick's portrait of their happy marriage crumbles and soon everyone'swondering, "Did Nick Dunne kill his wife?" A dozen or more titles, most of which haven't opened yet, are also generating some degree of Oscar buzz. In some cases that buzz is more performance driven than anything else. Which of them could wind up as best picture contenders remains to be seen and will likely be influenced by the critics group awards that will start making headlines in early December. As it did last year, the New York Film Critics Circle will weigh in first with its awards, which will be announced Dec. 1. They won't be handed out, however, until Jan. 5 when they'll get media attention again just as many Academy members will be filling out their nominations ballots to get them in by Jan. 8. Last year the NY votes didn't match up at all with Academy votes for best picture ("Hustle" vs. "Slave") or best directing (McQueen vs. Curaron). The National Board of Review (NBR) will announce its awards Dec. 2. Last year it also was badly out of synch with Oscar voters, giving best picture to "Her" and best director to "Her" director Spike Jonze. Nonetheless, tremendous attention will still be paid by Oscar bloggers to whatever NBR and the critics groups have to say next month. Here's a quick look at some of the films that could benefit from such recognition. Fox Searchlight Pictures and New Regency's R rated dramatic comedy "Birdman or the Unexpected Virtue of Ignorance" was the closing night presentation Oct. 12 at the New York Film Festival. Directed by Alejandro Gonzalez Inarritu ("Biutiful"), "Birdman" stars Michael Keaton, Zach Galifianikis and Edward Norton. Since opening in limited release Oct. 17, it's been critically acclaimed and has done outstanding box office business. It expanded its run last weekend to 462 theatres in over 100 markets, ranking 11th with $2.3 million. Its domestic cume through last weekend, its fourth in theatres, was a very impressive $8.1 million. It will expand Nov. 14 to over 800 theatres. Fox Searchlight screened "Birdman" at the Venice and Telluride festivals earlier this year and followed that up at with its closing night showing in New York rather than screening at the Toronto International Film Festival in September. This year, Toronto's new regulations about eligibility to play during its prime first four days ruled out films that had a U.S. premiere at Telluride. Keaton plays Riggan Thomson, aone-time action superstar who must overcome ego and family problems while staging a Broadway play in desperate hopes of being taken seriously as an actor and reclaiming his past glory. Inarritu was Oscar nominated in 2007 for directing and being a producer of "Babel," which received a best picture nomination. "Birdman" did well in early September with festivalgoers, critics and Oscar bloggers at Telluride, who hailed his cinematic device of making it appear that the movie was filmed in one long take, the way Hitchcock did in his 1948 classic thriller "Rope." 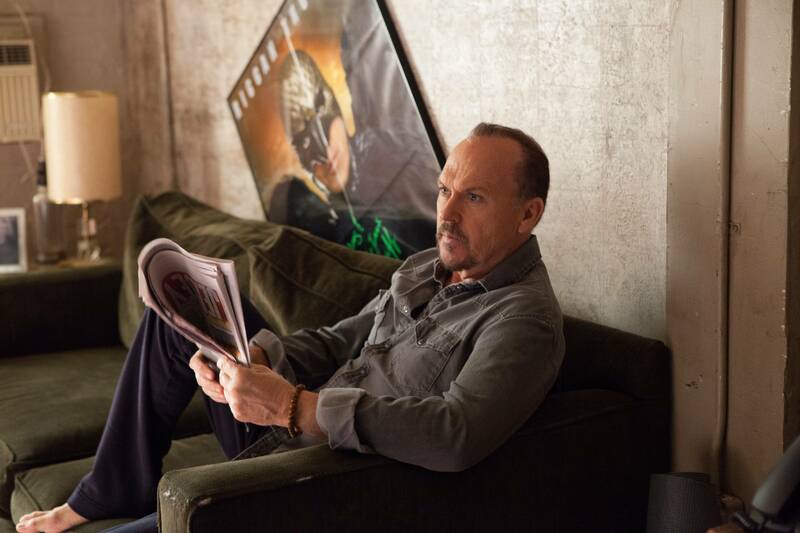 Insiders expect "Birdman" to be a critics groups favorite, especially for best picture and actor (Keaton). The R rated biographical drama "Foxcatcher," from Sony Pictures Classics, Annapurna Pictures and Media Rights Capital, is another Oscar bloggers favorite with a strong best picture buzz. Directed by Bennett Miller ("Moneyball"), a 2006 Oscar nominee for directing "Capote,"it opens in exclusive release Nov. 14. Starring are Steve Carrell, Channing Tatum, Mark Ruffalo, Vanessa Redgrave, Sienna Miller and Anthony Michael Hall. "Foxcatcher" tells the tragic story of billionaire John E. du Pont (Carrell), who recruits championship wrestling brothers Dave and Mark Schultz (Ruffalo and Tatum) to establish a national wrestling team on his family's Pennsylvania estate. "Foxcatcher" had its U.S. premiere at NYFF. It world premiered in May at the Cannes Film Festival, instantly generating a best picture and directing Oscar buzz. Nonetheless, it didn't take home the festival's Palme d'Or award, which went instead to the small Turkish drama "Winter Sleep,"directed by Nuri Bilge Ceylan ("Once Upon a Time in Anatolia"). 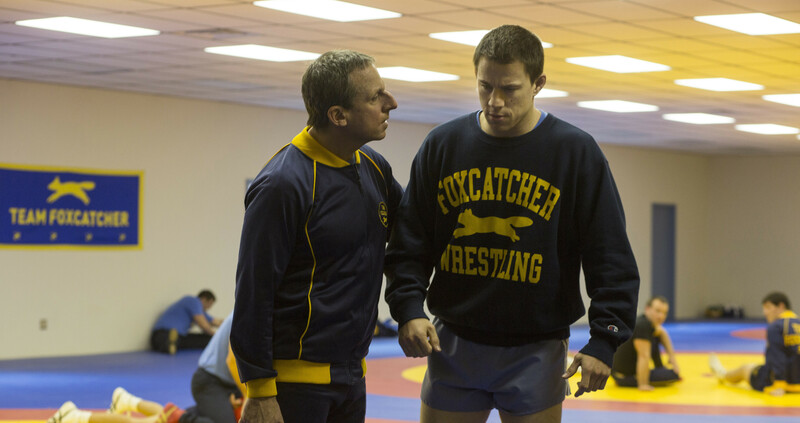 "Foxcatcher" went on to win praise at Telluride and Toronto. It will be the closing night presentation Nov. 13 at AFI Fest in Los Angeles, where Academy members are likely to see media coverage of the gala event held in their own backyard. Another high profile awards hopeful that world premiered as NYFF's centerpiece selection is Warner Bros.' R rated film noir "Inherent Vice. "Its writer-director is five time Oscar nominee Paul Thomas Anderson ("There Will Be Blood," "Magnolia," "Boogie Nights"). Based on the novel by Thomas Pynchon, "Vice" stars Reese Witherspoon, Jena Malone, Josh Brolin and Joaquin Phoenix. It screened Nov. 8 at AFI Fest and opens Dec. 12 in limited release. Phoenix plays Doc Sportello, a private eye trying to find his ex-girlfriend Shasta (Katherine Waterston, who's already being buzzed about for a supporting actress Oscar nom) in the 1970s drug culture of Los Angeles. Brolin plays police detective Bigfoot Bjornsen, who gets in Doc's way every step of the way. Anderson's an Oscar blogger favorite, especially for "Blood," for which he was Oscar nominated in 2008 for directing, writing its adapted screenplay and being one of its producers. There's also an early buzz circulating for A24 and Participant Media's R rated crime drama "A Most Violent Year," which opens in limited release Dec. 31. "Year" was well received when it screened Nov. 6 as the opening night selection at AFI Fest. Some Oscar bloggers immediately likened it to the style of the late Sidney Lumet, who directed the classic 1981 New York crime drama "Prince of the City." This should elevate "Year's" Oscar profile and help attract attention from Academy members. Directed by J.C. Chandor ("All is Lost"), it stars Oscar Isaac, Jessica Chastain and David Oyelowo. Chandor wasn't Oscar nominated last year for directing "Lost," which starred Robert Redford, but he did receive a writing nod for original screenplay in 2012 for "Margin Call," which he also directed. Last weekend brought the first exclusive engagements for Focus Features and Working Title Films' PG-13 biographical drama "The Theory of Everything,"starring Eddie Redmayne and Felicity Jones in the story of renowned astrophysicist Stephen Hawking, who falls deeply in love with fellow Cambridge student Jane Wilde. Hawkings, who suffers from the paralyzing disease ALS, was a healthy, active young man when hewas diagnosed with the illness at the age of 21. In the film, Focus explains, "with Jane fighting tirelessly by his side, Stephen embarks on his most ambitious scientific work, studying the very thing he now has precious little of -- time. Together, they defy impossible odds, breaking new ground in medicine and science, and achieving more than they could ever have dreamed." Based on Jane Hawking's book "Travelling to Infinity: My Life with Stephen,"the film is directed by James Marsh, who in 2009 won the best documentary feature Oscar for directing "Man on Wire" (shared with producer Simon Chinn). Academy voters tend to like biographical dramas about people who manage to overcome horrific disabilities – such as "My Left Foot," the story of Christy Brown, who despite being born with cerebral palsy learned to paint with his not paralyzed left foot. A best picture nominee in 1990, it won Oscars for best actor (Daniel Day-Lewis) and supporting actress (Brenda Fricker). In particular, Redmayne's being talked about now as a lock for a best actor nod. Last Friday the Palm Springs International Film Festival announced that Redmayne would receive its Desert Palm Achievement Award-Actor at its annual awards gala Jan. 3 during the festival, which will run from Jan. 2-12. Here, too, the great advantage is that the presentation will be attracting media attention while Oscar voters are working on their nominating ballots. "Theory" got off to a most encouraging start with critics and moviegoers alike last weekend, grossing $207,000 in exclusive runs at just 5 theatres, an enviable $41,400 per theatre. It goes into limited release Nov. 14 and expands its run Nov. 21 in time to be an alternative choice for adult moviegoers over Thanksgiving weekend. Another biographical drama with its hat already in the best picture ring is The Weinstein Company's PG-13 rated "The Imitation Game," opening in limited release Nov. 28. The film immediately generated an Oscar buzz upon winning TIFF's People's Choice Award in Toronto in September. Also in its favor is having its Oscar campaign in the hands of TWC co-chairman Harvey Weinstein, whose ability to win awards for his films is legendary in Hollywood. Directed byMorten Tyldum ("Headhunters") and based on the book by Andrew Hodges, it stars Benedict Cumberbatch, Keira Knightley, Matthew Goode, Allen Leech, Charles Dance, Mark Strong and Rory Kinnear. "During the winter of 1952, British authorities entered the home of mathematician, cryptanalyst and war hero Alan Turing (Cumberbatch) to investigate a reported burglary. They instead ended up arresting Turing himself on charges of 'gross indecency,' an accusation that would lead to his devastating conviction for the criminal offense of homosexuality – little did officials know, they were actually incriminating the pioneer of modern-day computing. "Famously leading a motley group of scholars, linguists, chess champions and intelligence officers, he was credited with cracking the so-called unbreakable codes of Germany's World War II Enigma machine. An intense and haunting portrayal of a brilliant, complicated man, 'The Imitation Game' follows a genius who under nail-biting pressure helped to shorten the war and, in turn, save thousands of lives." A number of upcoming releases are automatically being regarded sight unseen as potential best picture candidates because of their filmmakers' awards pedigree or their subject matter. Four such films will arrive in theatres Christmas Day. Warner Bros. and Village Roadshow's biographical action drama "American Sniper" opens Dec. 25 in limited release and goes wide Jan. 16. It stars Bradley Cooper, Sienna Miller and Jake McDorman in the true story of a Navy SEAL with over 150 confirmed kills to his credit. "Sniper" director Clint Eastwood is an Academy favorite who's already won four Oscars – best picture and directing in 1993 for "Unforgiven" and best picture and directing in 2005 for "Million Dollar Baby." At this point in his career, any picture Eastwood directs automatically gets the benefit of an early Oscar buzz. Disney's fantasy comedy "Into the Woods," opening wide Dec. 25, is directed by Rob Marshall ("Chicago") and stars Anna Kendrick, Meryl Streep and Chris Pine. It's based on the hit musical play by Stephen Sondheim and James Lapine. Marshall was Oscar nominated in 2003 for directing "Chicago." Streep's been nominated an astounding 18 times. She's taken home three Oscars – supporting actress in 1980 for "Kramer vs. Kramer;" lead actress in 1983 for "Sophie's Choice;" and lead actress in 2012 for "The Iron Lady." Together, Streep and Marshall are a potent Oscar team that's expected to be on Academy voters' radar. Adding to "Woods'"potential best picture appeal is its great success on Broadway, where it premiered Nov. 5, 1987 at the Martin Beck Theatre and ran for 764 performances. It won Tony Awards for best score, book and actress in a musical and received five Drama Desk awards, including best musical. Universal and Legendary Pictures' PG-13 biographical action drama "Unbroken" opens wide Dec. 25. Directed by Angelina Jolie ("In the Land of Blood and Honey"), it stars Jack O'Connell, Domhnall Gleeson and Jai Courtney. O'Connell plays Olympic runner Louis Zamperini, who was captured by the Japanese during World War II. As one of Hollywood's biggest superstars who's since added directing to her portfolio, Jolie's a natural magnet for Academy attention. She won a supporting actress Oscar in 2000 for her performance in "Girl, Interrupted." Dec. 25 will also see Paramount and Plan B Entertainment's historical drama "Selma," go into limited release. Directed by Ava DuVernay ("Middle of Nowhere"), it stars David Oyelowo, Carmen Ejogo and Tom Wilkinson. This story about Dr. Martin Luther King Jr., LBJ and 1960s civil rights marches will go wide Jan. 9, putting it into the national marketplace just ahead of Martin Luther King Jr. Day on Mon., Jan. 19. Its overall subject matter has resonated in the past with Oscar voters and could very well do so again as they think about this year's best picture race. "Selma's" wide release is also perfectly timed since Academy members will be filling out their nominations ballots just as the film's publicity and ad campaigns are at their peak. It's a safe bet that Jolie will be promoting "Selma" with media appearances then, which can only help make Oscar voters aware of the film. It also will be helpful in promoting the picture that Brad Pitt and Oprah Winfrey are among its producers. Having such high profile producers always helps in terms of generating media attention for a film and also helps get Academy voters to make time to see the picture. Bottom line:It's a crowded best picture race right now and we don't yet know who the real front runners will be.